Welcome back to The Wire. If you missed last weeks post, I’ll be providing 10 fantasy players to consider adding each week. This weeks wire features four wide receivers, two tight ends, one quarterback, one running back, one defense, and a kicker. In all honesty Green should have been on last weeks list. But I digress, Green had a quiet opening night against a stout Carolina Panthers defense (four catches for 28 yards). The second year tight end from San Bernardino, CA is the guy at TE in Denver though. Green can become a check down catcher or red-zone option for QB Trevor Siemian. While Siemian threw to each of his targets evenly last Thursday, Green’s 6′-5″-255lb frame makes him an ideal go to option. Green also tied Demaryius Thomas and C.J. Anderson for catches (4) with Emmanuel Sanders leading the team (5). If you still need help at the TE position, take a flier out on Green and be glad you did. Osweiler is the only player to make a repeat appearance on this list and in this series so far. That’s because he is still under-owned at just 28 percent, which is low for a QB that threw for 230 yards and two scores last week (good for 20 fantasy points). 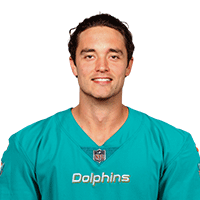 Granted this performance came against a lack-luster Chicago Bears defense, but Osweiler showed us he can perform week in and week out. With DeAndre Hopkins, rookie Will Fuller, and a solid pass catching back in Lamar Miller, the former Broncos QB has a 17 point floor with a 25 point ceiling most weeks. Not happy with your current QB situation? Osweiler is the answer. Rogers gained a lot of steam in the pre-season overshadowing previously hyped wide out Sammie Coates. This was not just smoke and mirrors. 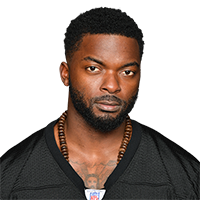 Behind only Antonio Brown, Rogers was the clear number two wide receiver on the field. Rogers reeled in six catches for 59 yards and a pinball TD. Rogers is a WR3 in PPR leagues and a plug-and-play option for standard leagues. If you need depth at WR or want a flex play with nice upside, go and grab Rogers while you still can. Raise your hand if you drafted Keenan Allen in the third round of your fantasy football draft (my hand is raised and head hanging in shame). Don’t panic, all is not lost, unless you’re the Chargers then it might be. Nevertheless, there are options out there to soften the blow from Allen’s season ending ACL tear. 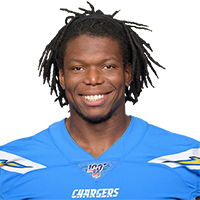 “We need him to catch a bunch of balls this year-a bunch of balls and have some huge days and big gains.” (quote per Michael Gehlken San Diego Union-Tribune). Admittedly Williams being 40 percent owned seems a bit pre-mature, but if Rivers is talking this kid up maybe he can be the next Malcom Floyd. Pickup Williams with caution. Brown isn’t the best moral character add for your team, but he is a consistent performer. 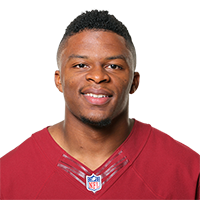 In 2015 Brown averaged 9.3 fantasy points per game (per Rotowire.com). 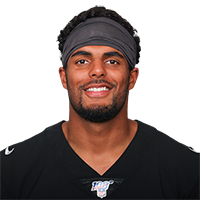 Coming back from his one game suspension, Brown is projected to put up (no surprise here) 9.5 fantasy points against New Orleans this Sunday. If you need a solid streaming option at kicker this week, take a chance and see what Brown can do for you. Kerley makes this list as a total wild-card, as it’s hard to trust anyone from the Niners in fantasy this year. 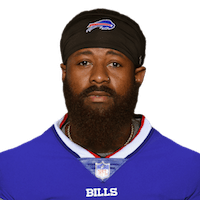 However, Kerley lead the team in catches (seven) and receiving yards (61) against the Los Angeles Rams on Monday night. 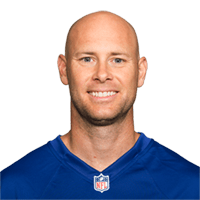 The former New York Jets receiver could finally have a breakout season, though I wouldn’t hold your breathe with either Blaine Gabbert or Colin Kaepernick at the helm. Still, Kerley is worth a stash consideration in standard leagues and offers WR4/WR5 potential in PPR leagues. If you told me last week Beasley would out catch Dez Bryant, I would’ve bet you a Benjamin Franklin he wouldn’t. 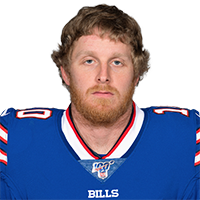 Beasley at times is a poor man’s Julian Edelman and could be a bargain for your team this week. Beasley had eight catches for 65 yards (behind only Jason Witten 9 grabs for 66yds) on Sunday. The fifth year wide out looked impressive catching the ball in traffic and fighting for extra yards. At nine percent owned he’s out there just waiting to be used as a flex option. A word of caution though, as any Dallas Cowboys fan can attest, Beasley has often been boom or bust in fantasy. 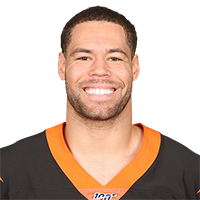 Taken in the fifth round of last years draft, Uzomah is the Bengals replacement option at TE for Tyler Eifert (ankle). Uzomah had a quiet game against the Jets, but made his two catches count gaining 59 yards receiving. In all fairness to Uzomah though, it was hard for Andy Dalton to not feed A.J. Green who racked up 180yds on 12 catches and a score. Until Eifert comes back, the 6′-6″-265lb Uzomah is a nice streaming option at TE and a big red-zone target. Thompson (shoulder) and Matt Jones (shoulder) were questionable heading into last Monday’s game against Pittsburgh. Both played and produced nearly identical rushing stats. Jones had seven carries for 24yds while Thompson had four carries for 23yds and a TD. Jones is the starter for now, but if Thompson continues to see pay dirt, he could be the ‘Skins new bell cow. Thompson is worth a roster spot as a stash for now and could become an RB2 with RB1 upside if Jones is injured. If you read my previous wire post you’ll notice the Eagles exceed the 45 percent limit for inclusion on this post. However, I’m not going to let three percent keep this defense, who put up a nice 12-spot last week against the Cleveland Brown Paper Bags, off the list. Philly will take on a capable Chicago Bears offense this Sunday at Soldier Field. But you can trust Jay Cutler will throw interceptions and get sacked. If this unit is still available on your wire, pick them up and plug them into your lineup. Honorable Mention: Dontrelle Inman (WR San Diego Chargers), Jack Doyle (TE Indianapolis Colts), Cleveland Browns D/ST (opponent Baltimore Ravens), Trevor Siemian (QB Denver Broncos), Dustin Hopkins ( K Washington Redskins). Be sure to tune in next week, same bat-time same-bat channel, to see which players make the cut in week three. Happy adding and good luck.